Earlier this year, new costumes were leaked for Super Mario Odyssey. These costumes (including ones based on the Broodals, a zombie outfit and a Santa suit) were originally found as text descriptions in game, but soon had their models found as well, which offered fans a glimpse of what was to come in the game’s free updates. However, we never saw the costumes in the game itself. This meant there was always a slight ‘tinge’ of uncertainly to their legitimacy, as well as worries that Nintendo might remove them from the game rather than release them, like they did for the unused Link costume mentioned on the TCRF’s page for this game. As you can see, all the costumes from the datamine are there and accounted for. The Broodal outfits? All shown in action, including Hariet’s dress. The somewhat odd-looking zombie one? Present, complete with the throwable ‘axe’ in place of Mario’s normal cap. And then… there’s the 8-bit cap. Yeah, this one looks really strange. 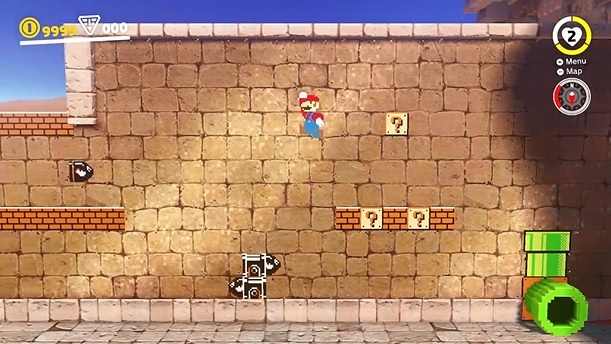 Seriously, Mario doesn’t so much ‘run’ as he does slide and bounce around like a statue, and his appearance seems less like traditional 8-bit (read, Mr Game & Watch) and more like someone made the 8-bit Mario amiibo figure into a playable character. 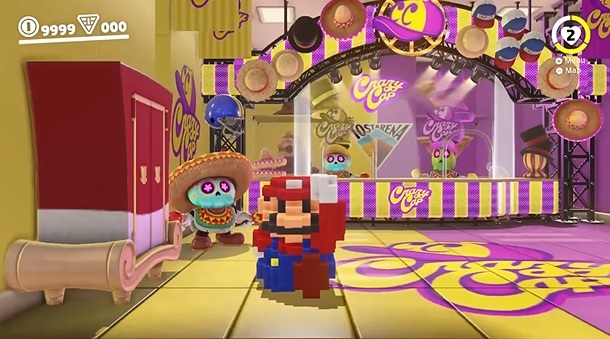 It’s absolutely bizarre to say the least and looks to be the weirdest outfit Super Mario Odyssey has ever gotten. Above: Well, in 3D at least. 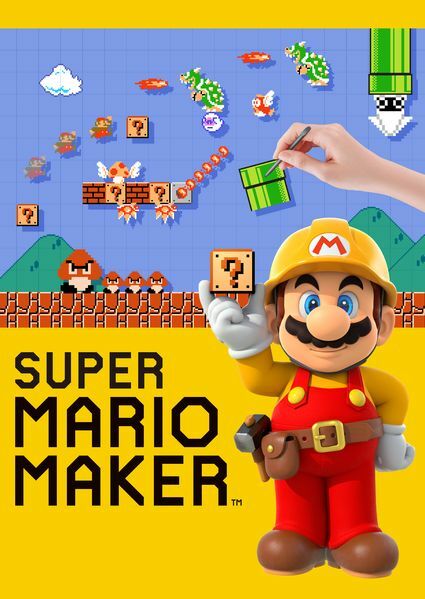 In 2D it just looks like Mario with a different colour palette. 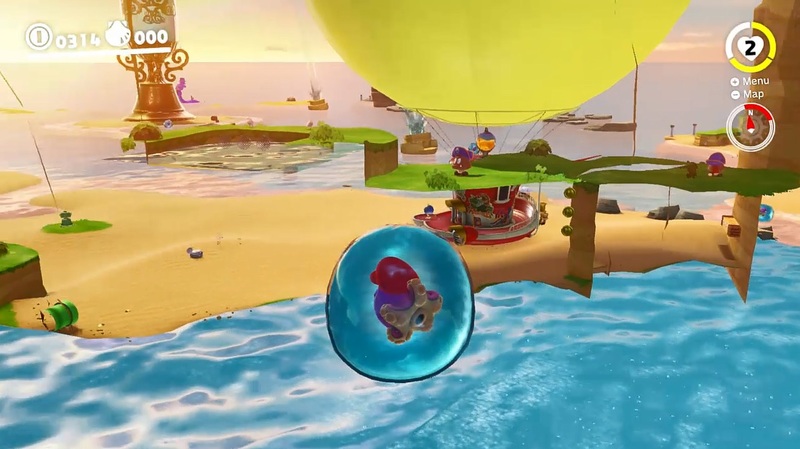 Still, it fits the game well, just like the invisible cap and Mario 64 outfit before it. So, check out the video if you’re interested, and tell us what you think of these new costumes. Are you interested in using them in game? What ones are your favourites and why? Give us your opinion on the matter here in the comments or on social media today!